This residency is a collaborative project between the Arts Council of Wales, Glandŵr Cymru – The Canal & River Trust in Wales, and Addo. We are inviting applications from artists with an interest in landscape, architecture and ecology with a collaborative/paticipatory approach to undertake a residency based on the Montgomery Canal at Llanymynech near Welshpool. Working with staff and volunteers for the recently-formed Canal & River Trust to draw out and address issues of connectivity across the organisation, paying particular attention to how Glandŵr Cymru engages with local people e.g. through volunteering opportunities, community adoptions and non-waterway related visits. The residency aims to embed artistic processes within Glandŵr Cymru’s core functions. The organisation is in a period of change and it may be possible for the artist to influence that change at this crucial time. Glandŵr Cymru, the Canal & River Trust in Wales, has teamed up with the Arts Council of Wales to create a series of artists’ residencies across waterways in Wales over a three year period. This partnership is highlighting not only the heritage and historic significance of Wales’ canals, but also celebrating their current relevance to local communities and contemporary Welsh culture. The Trust is exploring how contemporary arts can play a new role in conserving, animating and re-interpreting the waterways in Wales. The artist will be based on the England / Wales border at Llanymynech but will be expected to work at and visit locations along the Montgomery Canal. 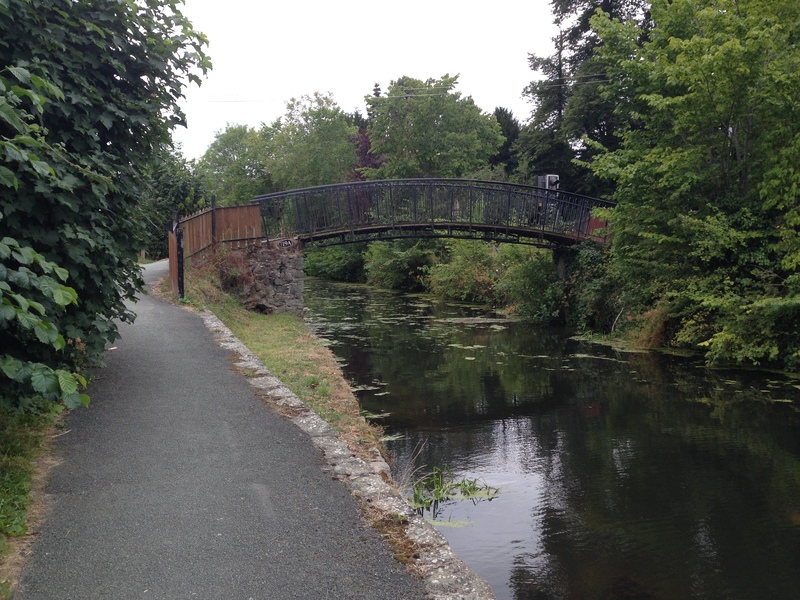 There are opportunities to become involved with plans to enhance the landscape corridor and to conserve the aquatic plants of the canal, drawing out the story of the canal’s contribution to ecology, ecosystems and combating wider environmental concerns. The project also offers the opportunity to highlight the canal’s significant heritage and its influence on the industrial and social history of the areas and communities that it connects. In the longer term we hope that by working with artists Glandŵr Cymru will embed artistic working practices within their everyday structures, seeing these as important and relevant to their organisations on-going relationship with it’s public. The broader aims of the project are to raise the profile of Glandŵr Cymru and the Montgomery Canal in particular, develop relationships between existing groups and project partners, exploring and developing ways in which artists may contribute to the development of the organisation and its facilities. The material outcomes of the residency are open but may take the form of temporary artworks created with input from canal users, volunteers and staff. There is also potential to explore and develop proposals for the future use of the site. Interesting and contemporary ways to explore and share the history of the site are a key feature of this proposal. Events such as exhibitions, workshops, talks, seminars, and tours may be key elements within the project. A large exhibition, featuring work from the artists across all six planned residencies, is due to take place at a key Welsh venue or gallery at the end of the project in 2016. The artist will be expected to show work produced as part of this residency, or as a result of themes explored during their time in residence, in the final exhibition in 2016. The artist will be someone interested in working within the industrial and agricultural heritage of Wales and particularly the canals of Wales with an interest in environment, architecture or design with previous experience of working with others to develop ideas. An ethos of collaborative practice and engagement is uppermost. • An understanding of the issues of working in partnership and the concerns and opportunities presented by rural tourism. • The artist must be aware of and abide by the laws for working with children and vulnerable adults, should they undertake such work as part of the residency. • In the event of manufacture/installation of artworks by the artist, the artist must demonstrate current and appropriate indemnity insurance relevant to the artist in person and to any object/s to be manufactured. The artist will be provided with a flexible space at Llanymynech, which could be used as a studio/workspace/meeting space/gallery. The selected artist will be paid in installments to be agreed on appointment. This fee is inclusive of all travel costs, living expenses, and studio equipment. Please note that we do not require a project proposal at this stage as we anticipate that details of activity to be undertaken as part of the residency will be developed following a period of interaction with the area, community and key stakeholders. A panel of key stakeholders involved in the Montgomery Project will shortlist candidates for interview from the applications received. Interviews will take place during the week of 17th November 2014. Candidates must be available for interview during this period. Up to £100 per artist will be available to cover travel and subsistence expenses incurred by attending an interview. Interviews via Skype may be arranged. At interview, interviewees will be expected to speak in more detail about their work and working processes and the approach that they envisage taking towards the residency.